To find out more about web accessibility, and the accessibility features of this site, please visit our web accessibility page. With essential information on making individual productions, teams and companies inclusive and diverse, this resource is for anyone sourcing on and off-screen talent, locations and audiences. Split into high level, essential facts; useful in-depth information; and links to other resources, and by different stages in the production cycle; crewing up, in production and ongoing business. 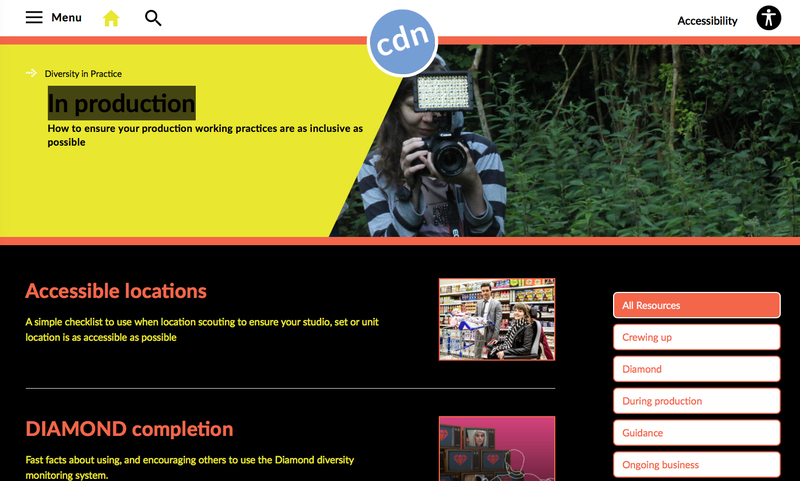 With thanks to the Equality and Human Rights Commission, Ofcom, Pact and The Creative Skillset TV SkillsFund for their support and input into the Diversity in Practice hub. The Creative Skillset TV Skills Fund is the result of an agreement between UK broadcasters (BBC, Channel 4 and Five) to invest in training for the freelance television workforce.